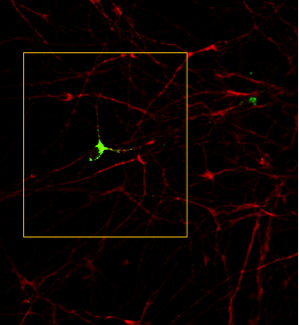 The overall aim of this project is to study the mechanisms of MPP+ poisoning in living, pharmacologically defined dopaminergic and serotonergic neurons derived from mouse and human stem cells. Stem cell-derived neurons provide a more likely endogenous environment, to study the regulation and trafficking of the monoamine transporters in vitro than non-neuronal heterologous expression systems that overexpress the monoamine transporters. In order to understand the regulation of dopamine transporter (DAT) activity, dopaminergic neurons have been differentiated from mESC and hiPSC. Altered mitochondrial function and dynamics seem to play an important role in the development and evolution of different neurodegenerative diseases due to the numerous important cellular functions that these organelles play, such as the regulation of calcium homeostasis, the production of energy as adenosine triphosphate (ATP), or the control of programmed cell death. Mitochondrial dysfunction has been linked with Parkinson’s disease, a neuronal disorder characterized by loss of dopaminergic neurons in the substancia nigra of the brain, as a result of the incapability to provide energy to the cells and to enable synaptic communication. This project attempts to follow the mechanisms of MPP+ poisoning (an inhibitor of complex I of the mitochondrial electron transport chain) in living, pharmacologically defined dopaminergic and serotonergic neurons derived from mice and humans. To assess the aim of the study two different approaches are followed: first, it will be studied the effect of MPP+ on mitochondrial function and heterogeneity in dopaminergic and serotonergic neurons differentiated from mouse embryonic stem cells (mES) and human induced pluripotent stem cells (hiPSCs). Using these lines it will be compared the morphology and function of mitochondria as well as possible different effects of MPP+ on them in dopaminergic neurons with serotonergic neurons. 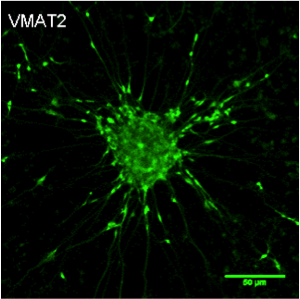 In addition, possible different roles of vMAT2 with respect to cellular protection against the toxic MPP+ effect in dopaminergic neurons versus serotonergic neurons will be assessed. Blockade of the serotonin transporter does not protect serotonergic neurons against MPP+ toxicity in vitro. The neurotoxic MPP+ (1-methyl-4-phenylpiridinium) is used as an in vitro pharmacological model of Parkinson’s disease since it causes mitochondrial dysfunctions that have been associated with this neurodegenerative disorder. 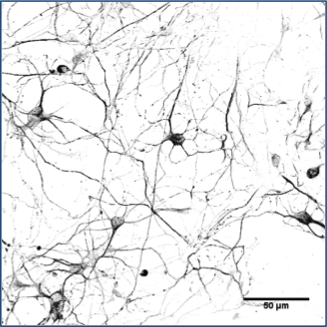 It is well known that dopaminergic toxicity of MPP+ is mediated through accumulation of the neurotoxin in dopaminergic neurons by the dopamine transporter (DAT). Moreover, studies in heterologous expression systems have shown that MPP+ may also be transported through the other monoamine transporters, such as the serotonin transporter (SERT), into serotonergic neurons. 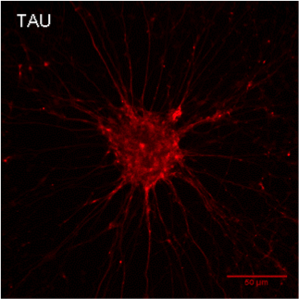 Here we aimed to analyse the contribution of SERT to MPP+ uptake and toxicity in pharmacologically defined serotonergic neurons derived from mouse neural stem cells. Impact of MPP+ on mitochondria and on DAT and SERT internalisation in mESC derived dopaminergic and serotonergic neurons. Altered mitochondrial function and dynamics seem to play an important role in the development and evolution of different neuro- degenerative diseases due to the numerous important cellular functions that these 3. (i) organelles play, such as the regulation of calcium homeostasis, the production of energy as adenosine triphosphate (ATP), or the control of programmed cell death. Mitochondrial dysfunction has been linked with Parkinson’s disease, a neuronal disorder characterized by loss of dopaminergic neurons in the substancia nigra of the brain, as a result of the incapability to provide energy to the cells and to enable synaptic communication. This pro- ject attempts to follow the mechanisms of MPP+ poisoning (an inhibitor of complex I of the mitochondrial electron transport chain) in living, pharmacologically defined dopaminergic and serotonergic neurons derived from mice. To assess the aim of the study two different approaches are followed: first, we studied the effect of MPP+ on mitochondrial hetero- geneity and function in dopaminergic and serotonergic neurons differentiated from mouse embryonic stem cells (mES). 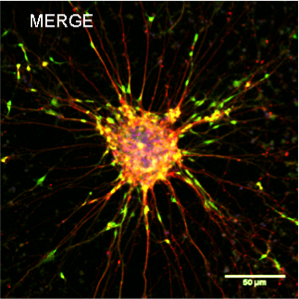 Stem cell-derived serotonergic and dopaminergic neurons exhibited a dose-dependent toxic response to MPP+ treatment, which elicited nuclear trans- location of AIF. Results shown here indicate an increase in round shaped mitochondria in soma as well as in axon when serotonergic cells were treated with sub-lethal concentrations of MPP+. The same tendency is observed in dopaminergic neurons. This data suggest an enhanced fission process caused by MPP+ and would be in accordance with previous find- ings. In addition, the impact of MPP+ toxicity on the regulation of cell surface dopamine (DAT) and serotonin (SERT) transporter expression is discussed. Competence in experimental design, data capture, statistics, analytical skills. The Interdisciplinary Center for Neurosciences (IZN) PhD program: provides a platform for interdisciplinary scientific exchange. In its annual retreat it is fostered the discussion of the on- going projects by neuroscientists from all faculties and research institutions from Heidelberg. Zentralinstitut für Seelische Gesundheit (ZI) retreat: event where was introduced the TINTIN project to the scientific community of neuroscientist of Medical Faculty Mannheim (Heidelberg University). Dr. Stefan Berger and Dr. Dusan Bartsch (Molecular Biology, ZI) proposed a collaboration with them. They would provide us fibroblasts from Parkinson’s disease animal models to generate iPS cells from them.